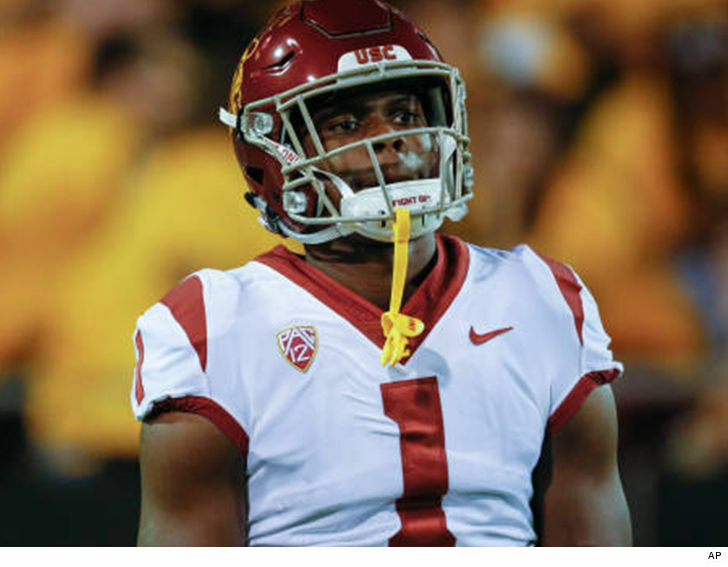 USC wide receiver Joseph Lewis — considered one of the best H.S. recruits in 2016 — has been arrested for felony domestic violence for the 2nd time this year … TMZ Sports has learned. Here’s what we know … the 18-year-old was taken into custody in Los Angeles around 11 PM on Wednesday night. We’re told there was a physical altercation between Lewis and a woman at home … and the woman fled to a nearby location, called police and Lewis was later arrested back at the house. Lewis was previously arrested in a separate alleged domestic violence incident back in February. He was suspended from all football-related activities while the school investigated. He ultimately pled no contest in that case and got 36 months probation. Floyd Mayweather to Adrien Broner: I'm Coming to Your Fight!